Swetha, C. and Shivaprasad, P. V. (2019). Extraction and Purification of Laccases from Rice Stems. Bio-protocol 9(7): e3208. DOI: 10.21769/BioProtoc.3208. Laccases are found in cell walls of plants in very low amounts. This protocol provides an efficient method to purify laccases from rice stems. The method involves three steps: 1) Isolation of total protein from rice stems using buffers with high salt concentration to extract protein from cell walls; 2) Purification of laccases using concanavalin-A beads; and, 3) In-gel staining of laccases with 4-hydroxyindole. Concanavalin-A specifically binds to internal or non-reducing terminal α-D-mannosyl and α-D-glucosyl groups found in glycoproteins and glycolipids. Laccases being glycoproteins binds to concanavalin-A during purification process and eluted with mannose. Laccases are oxidases ubiquitously present in bacteria, fungi, animals, and plants. They are some of the oldest enzymes identified. Laccase is involved in diverse functions such as pigmentation of fungal spores, regeneration of plants, as fungal virulence factors, and in lignification of cell walls and delignification during wood rotting. They oxidize the biosynthesis of secondary metabolite called lignin in vascular tissues of plants. Purification of laccases is very challenging as laccases are expressed in very low amounts. Existing protocols to purify laccases are from either microorganism or softer tissues of plants such as leaves. This protocol provides an efficient approach to extract and purify laccases from harder tissues of plants such as rice stems. Note: PB-1 is an aromatic variety of domesticated rice. Note: The materials, reagents and equipment not provided with company and catalog number can be ordered from any qualified company for using in this experiment. Chill the mortar and pestle with liquid nitrogen and divide 30 g of fresh or -80 °C frozen stem samples into 4 parts of 7.5 g each for convenience and freeze in liquid nitrogen. Take each part of sample, cut the tissue into small pieces of about 1-2 cm long with pre-chilled scissors in a pre-chilled mortar. Grind the tissue to a fine powder by using mortar and pestle using liquid nitrogen. Collect the powder in a 50 ml centrifuge tube with the help of an ice-chilled spatula and place it in liquid nitrogen. Repeat the same for the remaining sample. Add 45 ml of extraction buffer to each centrifuge tube and invert the tubes to homogenize. Place the centrifuge tubes on a rocker at 4 °C for 1 h with a set speed of 50 rockings per min. Centrifuge for 45 min at 7,177 x g, 4 °C. Filter the supernatant through Whatman filter paper to a fresh autoclaved conical flask. Transfer the filtrate into 10 cm long dialysis bags and dialyze overnight in 3 L of dialysis buffer at 4 °C on a stirrer at 120 rpm. The dialyzed protein sample is collected and used for purification of laccases. Slowly load the econo-column with concanavalin-A beads using a cut 1 ml pipette tip. Allowed it to settle at the base of the column. Length of separation column was 1.5 cm x 2.5 cm (diameter x length). Wash the column with 4 column volume (CV) of wash buffer. A flow rate of 1 ml/min was maintained throughout the procedure using a peristaltic pump. Pre-equilibrate the column with 4 CV of equilibration buffer. Pass the total crude protein sample through the walls of column slowly without disturbing using a 1 ml pipette. Wash the column with 3 CV of wash buffer to wash the unbound protein. Elute laccases with 9 ml of 50 mM mannose in three elutions of 3 ml each. Load the protein concentrators with purified laccase and centrifuge at 7,177 x g, 4 °C to concentrate the eluted protein to up to 200 μl. Wash the column with 3 CV of equilibration buffer and then with Milli-Q-filtered water. Regenerate the column by passing regeneration buffer A and B alternatively for 4 times. Pass 1 CV of storage buffer through the column and store the beads in storage buffer at 4 °C. Obtained purified laccases can be used for in-gel staining (Swetha et al., 2018). Perform standard mass-spectrometry (LC-MS) using cut prominent bands around 50-65 kDa from native gel to confirm the presence of laccases and to rule out contamination from peroxidases (as plant peroxidases range from 40-50 kDa). Load concentrated protein in about 30 μl onto 12% SDS gel and subject to electrophoresis in TGS buffer for 2 h at 80 V.
Stain the gel with CBB overnight and then destain for 4 h in destaining solution at room temperature. Sample preparation was done by adding 8 μl of native gel sample loading dye (6x) to the concentrated protein of about 30 μl. Load the protein sample onto a 12% native gel and subject to electrophoresis in TG buffer for 2 h at 80 V and 4 °C. Wash the gel with water 3 to 4 times and then stain the gel with 30 ml of 5 mM 4-hydroxyindole for 2 h.
Data analysis could refer to Figures 3 and 4, and also Supplementary figures S7 and S8 from Swetha et al., 2018. All the buffers required for protein extraction and purification should be pre-cooled to 4 °C before use. While making the extraction buffer, first add Tris and salts, cool the buffer to 4 °C and then adjust the pH. Add PMSF and protein cocktail inhibitor to the cooled buffer at the end. To regenerate the concanavalin column, pass regeneration buffers A and B alternatively starting with buffer A and also ending with buffer A. Mass spectrometry (LC-MS) has to be employed to confirm the presence of laccases after purification. Note: This buffer should be freshly prepared each time. Note: After pouring stacking gel into the cast, add 500 μl of isopropanol on top. Note: Before pouring stacking gel, remove isopropanol, rinse with water and dry by inserting Whatman paper pieces. Note: Before pouring stacking gel, remove isopropanol, rinse with water and remove water thoroughly. Pre-run the gel at 4 °C for 30 min before loading the samples. This protocol was developed by modifying the method from Jaiswal et al. (2015). Thanks to Prof. K. Veluthambi for rice seeds. The authors acknowledge financial support from Ramanujan Fellowship (SR/S2/RJN-109/2012; Department of Science and Technology, Government of India) to PVS. PVS lab is supported by NCBS-TIFR core funding and a grant (BT/PR12394/AGIII/103/891/2014) from Department of Biotechnology, Government of India. SC acknowledges a fellowship from DBT, India. Jaiswal, N., Pandey, V. P. and Dwivedi, U. N. (2015). Purification of a thermostable alkaline laccase from papaya (Carica papaya) using affinity chromatography. Int J Biol Macromol 72: 326-332. Swetha, C., Basu, D., Pachamuthu, K., Tirumalai, V., Nair, A., Prasad, M. and Shivaprasad, P. V. (2018). Major domestication-related phenotypes in Indica rice are due to loss of miRNA-mediated laccase silencing. 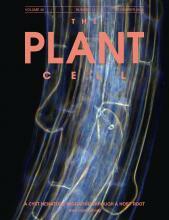 Plant Cell 30(11): 2649-2662. How to cite: Swetha, C. and Shivaprasad, P. V. (2019). Extraction and Purification of Laccases from Rice Stems. Bio-protocol 9(7): e3208. DOI: 10.21769/BioProtoc.3208.